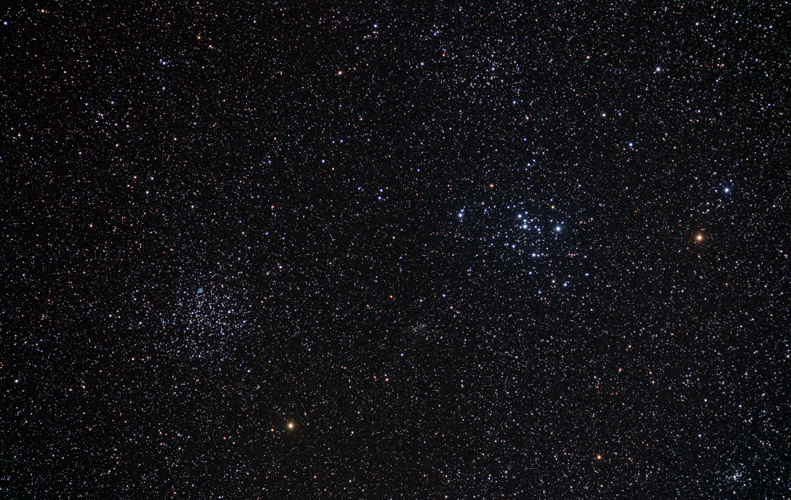 M46, on the left, is located about 5,400 light-years from the solar system and is estimated to be 300 million years old. The greenish magnitude 10.8 planetary nebula visible in the image, NGC 2438, is visible in amateur telescopes; it is not part of the cluster but is located closer to the solar system, about 2,900 light-years distant. 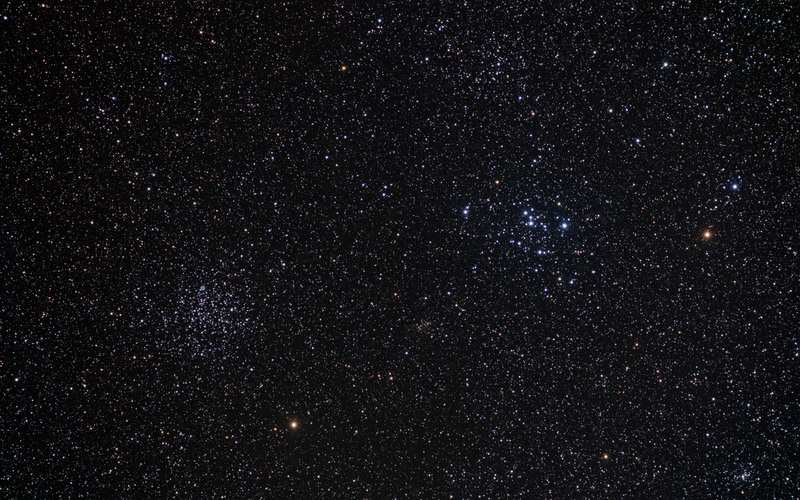 M47 is 1,600 light-years from the solar system and is about 78 million years old. 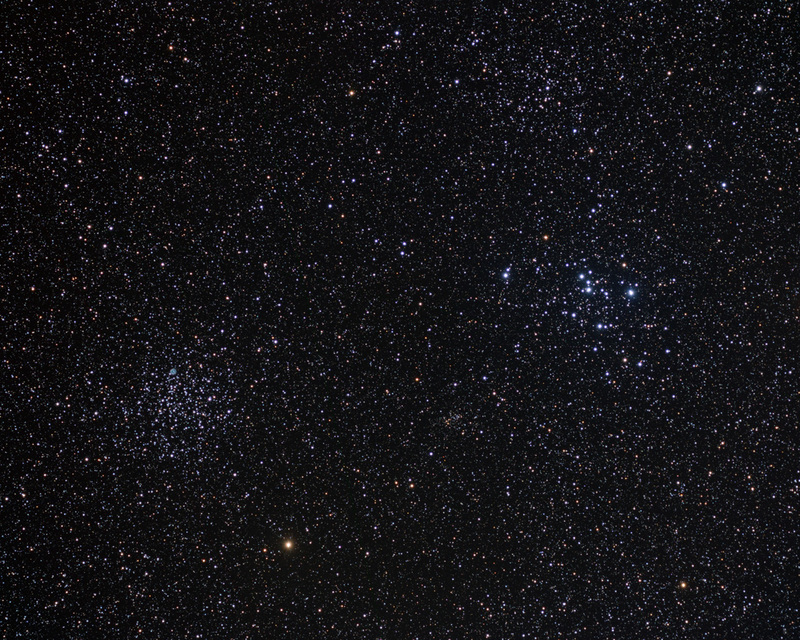 The fainter cluster above M47 is NGC 2423. Technical Notes: Individual exposures were obtained using CCDAutoPilot2 and then sigma combined. The RGB image was created in Registar 1.0. Gaussian Blur of 1 pixel was applied to the RGB image.